Millennials, the group of Americans born between the early 1980’s and the mid- 1990’s, are the largest generation in the U.S., representing one-third of the total U.S. population in 2013. With the first batch of Millennials only in their early thirties, most members of this generation are at the beginning of their careers and will be an important engine of the economy in the decades to come. The significance of Millennials extends beyond their numbers. This is the first generation to have had access to the Internet during their formative years. Millennials also stand out because they are the most culturally diverse and the most educated generation to date: 42% identify with a race or ethnicity other than non-Hispanic white, around twice the share of the Baby Boomer generation when they were the same age. About 61% of adult Millennials have attended college, whereas only 46% of the Baby Boomers did so. Perhaps the most important marker for Millennials is that many of them have come of age during a very difficult time in our economy. The oldest Millennials were just 27 years old when the recession began in December 2007. As unemployment surged from 2007 to 2009, many Millennials struggled to find a place in the labor market. Millennials made important decisions about their educational and career paths, including whether and where to attend college, during a time of great economic uncertainty. Millennials early adult lives have been shaped by the experience of establishing their careers at a time when economic opportunities are relatively scarce. Today, although the economy is well into its recovery, the recession still affects lives of Millennials. This report takes an early look at this generation’s adult lives so far, including how they are faring in the labor market and how they are organizing their personal lives. The Millennial generation is marked by transformations at nearly every important milestone: from changes in parenting practices and schooling choices, to the condition of the U.S. economy they entered, to their own choices about home and family. Millennials are the generation that will shape our economy for decades to come. Baby Boomers who lost part of their nest eggs in the recession face a difficult retirement, but those born between 1979 and 1994, who have come to be known as the Millennial generation, or Generation Y, face the most uncertain economic future of perhaps any generation in America since the Great Depression. Two decades of stagnant wages were followed by the Great Recession, and the income and net worth gap between the rich and the middle class is at its highest level in the past 90 years. The collision of financial reality with the habits and attitudes of this generation promises to create a severe economic dilemma for many of them. Retirement is just a word, not a goal. Most Millennials believe they will work forever. Although Millennials have frequently been labeled as materialistic, somewhat spoiled and saddled with a sense of entitlement, many millennials feel that they will not be able to achieve material goals like finding their dream job, buying a house or retiring until much later in their lives than their parents did. Paying off student loan debt has become increasingly difficult for many who are struggling with unemployment and low-paying jobs. The recession left over 15% of Millennials in their early twenties out of work, many of whom are still struggling to get their feet on the ground. This will hurt them long after they do get work. Economic studies of those who were unemployed during the recession in the early 1980s revealed that they were still behind schedule financially 20 years later. The economic fallout from events such as 9/11 and the market crash of 2008 has resulted in the adoption of an increasingly global mindset, with factors such as social responsibility and the environment frequently playing a key role in where Millennials place their money. Many Mellennials are choosing to follow either their own instincts or go along with their peers when it comes to investment choices. Studies have shown they have become somewhat distrustful of the financial advice given to them by their parents or financial professionals, who they often view as salesmen with only their own best interests at heart. The growing movement in the financial industry towards compensation models that are based upon investment performance rather than commissions has yet to make an impression on this generation. Millennials are also more interested in having a personal connection with those who manage their money, despite their comfort level with the use of mobile and online technology to perform many investing functions. A recent survey from the American Institute of Certified Public Accountants shows that over three quarters of millennials want to have the same clothes, cars and technological gadgets as their friends, and that around half of them have to use a credit card to pay for basic daily necessities such as food and utilities. Over 25% of Millennials had late payments or are dealing with bill collectors, and well over half are still receiving some form of financial aid from their parents. One of the most disturbing findings of this study reveals that seven out of 10 young people define financial stability as being able to pay all of their bills each month. The study also outlines a difference in money habits between the genders, where men feel more inclined to keep up with their friends in terms of material goods while women tend to be more frugal and place a higher emphasis on saving money. The effects of the “Great Recession” can also be seen with millennials in the reduction of credit card debt and home and car purchases, as lenders have tightened up their requirements for loans and extensions of credit. But this has also served to reduce the amount of consumer debt that millennials carry, and a surprising number of millennials actually live within their means, even if their overall level of financial literacy is relatively low. Although pay and compensation are still very important for most Millennials seeking a job, it is not always the primary factor that determines where they work. Other issues have become increasingly relevant, such as autonomy, respect and being treated fairly, Millennials expect employers to be able to provide these conditions in their workplace. Millennials access to digital information has also made them much more aware of what their peers and superiors are earning as well as what they themselves are worth, and what their rights and privileges are in the workplace. Millennials mirror their investment philosophy in that they want work that enriches not only themselves but the world around them. Websites like Glassdoor allow employees to post comments about their employer, their pay, how they enjoy their job and whether they would recommend the company to a friend of family member. 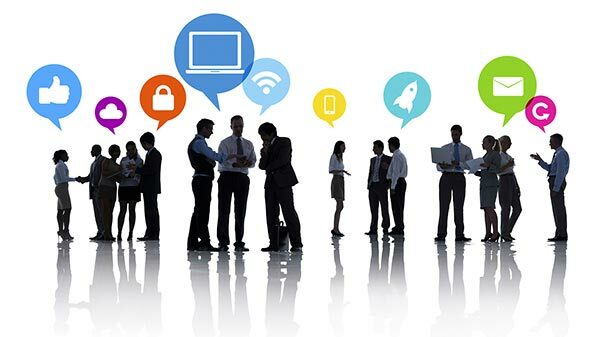 Do to technology and social media it’s a much more transparent world and Millennials are the first generation to make employment decisions based on the on-line feedback of others. Millennials face a set of challenges that will only be truly understood in hindsight. The future for Generation Y is more uncertain in some respects than for any previous generation, and its members have quickly learned that there are few, if any absolutes that they can count on. Millennials ability to succeed financially will depend upon many factors, including economic and political conditions and whether they can overcome the perceived sense of entitlement that much of society has branded upon them. Most Millennials do not invest, they are trying to pay down debt, keep up with their peers and just make ends meet. They are more interested in quality of life, travel, life experiences and entrepreneurship than previous generations. Millennials goals do not involve long careers in corporate America. It’s more about flexibility and one reason applications like Uber, Lfyt and Taskrabbitt have millions of participants. Work when you want to and most Millennials derive their income from multiple sources. It’s a far different life and lifestyle than previous generations. Throughout every sector in the economy, Millennials are driving changes. Now, Millennials are taking advantage of a variety of high-tech and social media tools that allow them to invest their investable/discretionary assets into investment vehicles of their choice. Given their love for anything tech-related, it should come as little surprise that Millennials that do invest are now leveraging social media, networking platforms, blogs, and mobile applications to do everything from following stock-picking tips to finding on-line financial advice to placing actual trades. One thing is certain: When it comes to investing, Millennials are taking a completely different approach from that of their parents and grandparents. 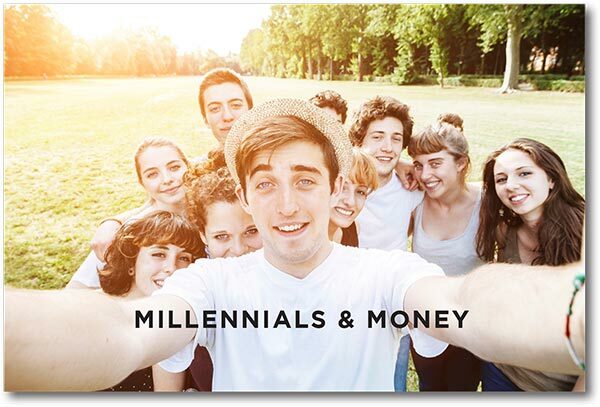 At WT Wealth Management we think the impact of Millennials deserve a deeper look. No longer are stock tips being passed along on the golf course. When today’s generation of investors want to purchase shares of stocks, they do not reach for the telephone to ring up their broker. Today, all it takes are a few clicks on an application for Millennials to review a prospectus, get advice, and even make an investment. According to The Wall Street Journal, more than 30 percent of Millennials surveyed recently stated they are more loyal to brands that are up-to-date in regards to technology and wouldn’t even consider a investing platform that didn’t involve cutting edge technology. While Millennials can sometimes be wary about jumping into investing coming off the heels of the recession, the availability of social media tools is making it easier and more comfortable for this age group to learn about investing. 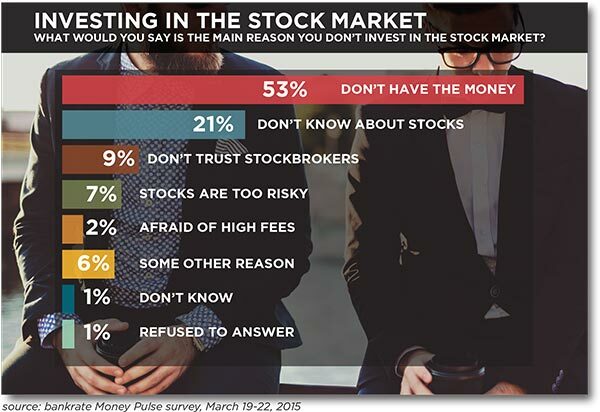 A recent survey found that 45 percent of Millennials are more interested in investing in the stock market today than they were just 3 years ago. Among the most popular social media tools currently being leveraged by Millennials are on-line forums, chat rooms and blogs. Social media investing sites makes it possible for peers to help one another invest in the stock market. Both ‘newbies’ and experienced investors are able to share information and tips. Social Media platforms even makes it possible for new investors to imitate the actions of investors with a proven track record. Through increased transparency combined with a distinctive social layer, various trading platforms makes it possible for users to build portfolios based on the collective knowledge contributed by peers and experienced traders. As a result, novice investors are able to become involved in investing using a social networking platform environment with which they are already well-acquainted. If there is a drawback to the availability of social media for investing, it is the potential to develop unrealistic expectations for immediate results. As a whole, the Millennial generation are accustomed to fast results. Frequently dubbed as the instant gratification generation, Millennials check their phones as many as 73 times daily. In an age where services, products, and information are just a tap or a swipe away, it can be easy for Millennials to fall into the trap of expecting instant success when using social media and other high-tech tools to invest. An appetite for adventures combined with a preference for game-playing elements can make the situation even more risky. As is to be expected of an adventure-seeking, forward-moving generation, of the small group of Millennials that invest they tend to be more bullish about investments than previous generations of investors. Reports suggest that Millennials that are saving and investing are not only more confident about the future but also spend more time reviewing their investments than Baby Boomers. The report found that while Baby Boomers spend only an average of two hours reviewing their investments each month, Millennials dedicate up to seven hours per month studying their investments. Given the fact that Millennials were coming of age when their parents lost their savings as a result of the financial crisis, this is hardly surprising. With such experiences forming their teenage and young adult years, Millennials are committed to protecting their financial futures and doing more of it themselves. Millennials have become accustomed to using technology for every aspect of their lives, so it only makes sense that digital technology has become a significant component in their investments, as well. Most on-line trading platforms report that people under the age of 35 are more likely to take advantage of online tools for monitoring their investments. With such tools, investors are able to take greater control, reviewing their portfolios anytime they desire rather than waiting for statements to arrive in the mail at the end of the month. There are now so many on-line tools available to help Millennials manage their investments that it can be easy to become overwhelmed. It is little wonder that at least some Millennials prefer to keep their savings in cash. A recent survey found that Millennials prefer cash three times as much as stocks for long-term investments. When Millennials do choose to invest it’s in things that are near and dear to them and usually technology based. It could be the company mobile phone brand that they are most loyal too or the social media site they frequent the most. It could also could evolve around social causes like clean energy, LGBT or recycling. The next 10 years are guaranteed to have the most in the way of technology and social developments of any generation. As the world changes so will how people interact with their investments. Maybe the most impactful part the Millennials will play included being the recipient of hundreds of billions of dollars of wealth transfers as grandparents and parents pass over the next few decades. At WT Wealth Management we feel it’s our duty to educated the next generation of investors, to build bonds, to foster trust and supply a conduit where human experience and on-line technology can be meshed into one platform that Millennials will be excited about and embrace. 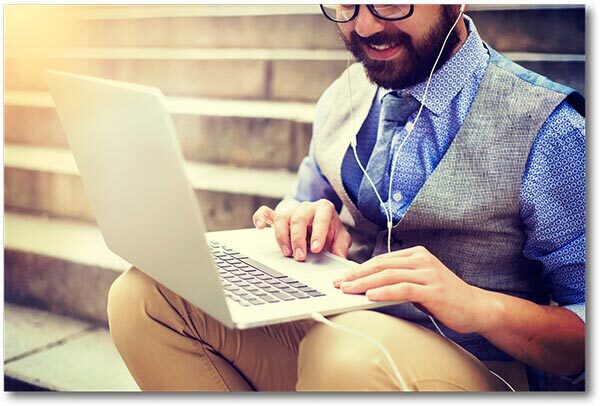 The one pitfall of the ‘due it yourself’, or gather ideas from on-line forums approach is that decades of experience in the financial services industry is being overlooked simply because Millennials feel like they can’t trust the traditional advisor, we don’t relate to their needs or deliver communications in a format that is conducive to their lifestyle. 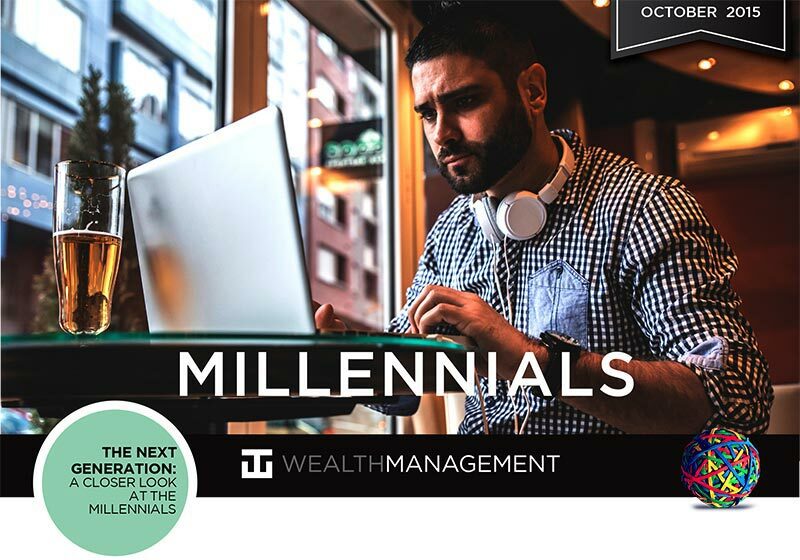 WT Wealth Management is set to embrace the challenge and exceed the Millennials expectations in the coming months. Stay tuned.